NaBloWriMo — What in the heck does that mean? In the writing world, November is National Novel Writing Month, AKA NaNoWriMo. The goal is to write 80K plus words over the course of the month, starting and finishing a book by writing every single day. The blogger world got crafty and said hey, we want in on this madness! So they stole the name and added a Bl. National Blog writing month, where you post a blog every single day. They may be short, or poetic, or a picture blog. But it’s going to be fun around here. <3 I’ll include my high and low so far for the day, as well as something for you to respond to. High: My 3 mile run tonight followed by handstand practice with AB … This was my FIRST workout in FIVE WHOLE ENTIRE DAYS. <–Thanks a lot cold season. I know I’m dumb for whining about that but it’s HARD to get into a good workout rhythm and I was finally in one!!!) Today I also had an awesome turnout for my first Matilda Jane trunk show! And I saw a killer sunset. And I got to meet a beautiful new baby human. And we have warmer temps coming at us for the weekend ahead. GLORY hallelujah you guys! FRIDAYS MAKE ME HAPPY!!! Low: Being overly tired at the end of a week where we were mostly homebound! Today, in light of your house most likely still full of sugary Halloween treats, I want you to share with me your top 5 temptations when it comes to candy. Happy NaBloWriMo! A new month brings me happiness. The feeling of a fresh slate and a new beginning. 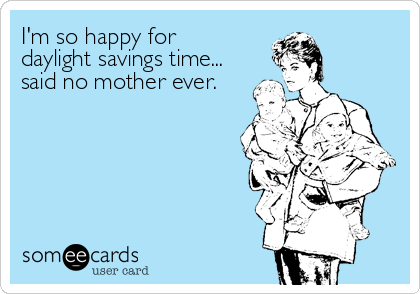 Also, daylight savings and $5 warm yoga this weekend! The highlight of Tilly’s day was meeting YOU. ❤️ And my biggest candy weakness is Reese’s PB Cups. I’m appalled that the two candies you call out to be your least favorite are my MOST favorite! How wild!